This lecture series, co-hosted with the Delaware Journal of Corporate Law, focuses on developing issues in the area of corporate law. It also provides the Delaware Bar, particularly the members of the bench, an opportunity to challenge the academia with practical concerns. 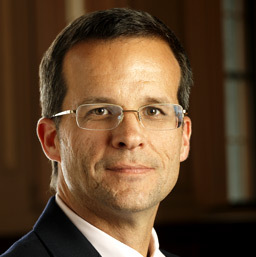 David Skeel is the S. Samuel Arsht Professor of Corporate Law at the University of Pennsylvania Law School. He is author of True Paradox: How Christianity Makes Sense of Our Complex World (InterVarsity, 2014), The New Financial Deal: Understanding the Dodd-Frank Act and Its (Unintended) Consequences (Wiley, 2011); Icarus in the Boardroom: The Fundamental Flaws in Corporate America and Where They Came From (Oxford, 2005); Debt’s Dominion: A History of Bankruptcy Law in America (Princeton, 2001); and numerous articles on bankruptcy and financial distress, corporate law, Christianity and law, law and literature, and other topics. His commentary has appeared in the New York Times, Wall Street Journal, Weekly Standard, Books & Culture, and elsewhere. In August, 2016, he was appointed by President Obama to serve on the oversight board for Puerto Rico. For tickets and more information on the lecture at the Hotel DuPont e-mail djcl@widener.edu. Online registration form available at: delawarelaw.widener.edu/pileggi2018. This lecture will be repeated at Widener University Delaware Law School at 11:00 am. For additional information or for accessibility and special needs requests, contact Carol Perrupato at caperrupato@widener.edu or 302-477-2178.